Mr. Caldwell is Chairman of Urbana Corporation an organization founded in 1980. Urbana Corporation is a diversified investment company with affiliate organizations providing investment management, brokerage and insurance services to a broad spectrum of investors throughout North America and around the world. In 2014, Mr. Caldwell was inducted into the IIAC Investment Industry Hall of Fame. Mr. Caldwell is CEO and a Director of Urbana Corporation, a publicly traded investment company and Chairman of the Canadian Securities Exchange (“CSE”), “The Exchange for Entrepreneurs”. He is past Member of the Board of the Conference of Defence Associations Institute in Ottawa. 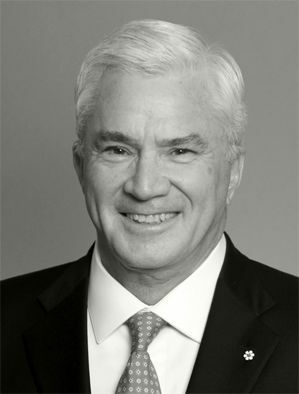 Mr. Caldwell is a past Governor of the Toronto Stock Exchange and one of the leading experts in capital markets, particularly in trading environments. He is recognized as one of the world’s foremost investors in securities exchanges. Mr. Caldwell manages the investment pools he is responsible for on a value/strategic overview basis. Urbana Corporation and its affiliated companies and investment pools, was the second-largest owners of the New York Stock Exchange prior to the NYSE’s demutualization. Mr. Caldwell has, through his career, been actively involved in addressing social and community needs.